Ilirija Resort is situated right on the coast, in the centre of Biograd na Moru, incorporating numerous beaches and pristine nature. The Resort’s offer represents a unique Mediterranean experience presented through a comprehensive approach, keeping in mind all your needs and in accordance with the most modern principles of sustainable business! Among hotels and villas, you can enjoy the sights of the sea, the sun and the coast whose design is replicated in the interior of the hotels and its facilities, thus creating exceptional unity with the environment. 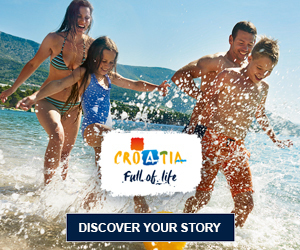 Through numerous additional activities organized for you in untouched nature, you can discover the indulgent side of the Biograd and Zadar Rivieras and experience the ancient Croatian history in unique ambience while enjoying authentic and original cuisine. Due to the closeness of the Zadar Airport and the highway, Biograd is very accessible by all types of transportation and is located in the vicinity of all national and nature parks.